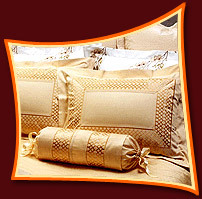 Akila overseas, based in Tamilnadu, was established in 1989 as a premier manufacturers, suppliers and exporters of Home Textile Products like kitchen linen products, bedding products, dining products, table cloth, napkin & napkin ring, table mat & runner, coaster, hand towel, terry Bar, mops, tissue box cover, bread basket bread bag, chair pad beat, cushion, Towel / Kitchen Towel, dish cloth, dish towel etc. With over 18 years in this field, today it has established as a Tamilnadu's leading manufacturers & supplier of home furnishing products. We are mainly exporting in Japan, Europe & USA. We are glad to present our company profile and list of home textile and home furnishing products for your reference, to enable you to go through our capacities and to consider our company for your requirements. 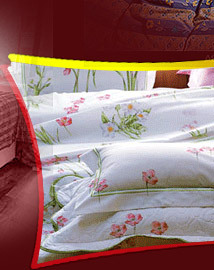 If you wish, we can forward our physical samples or pictures of our textile and furnishing products for your selection. Akila assure you that you would be satisfied With our high quality, competitive price and prompt delivery and out standing co-operation. Hence, we here by request you to give us a chance to present our samples or to handle your requirements to start business with you. 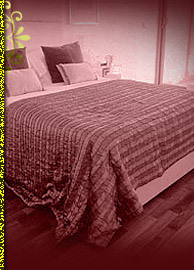 Akila overseas are dealing in wide rage of home textile products, kitchen textile, beding products, fabric products, acrylic fabrics, dining products, kitchen linen products, window textiles and floor decorative accessories. We are leading Fabrics exporter from Tamil Nadu india, We are mainly dealing in Cotton, Terry, Acrylic, Voile, Denim and Linen home furnishing textiles. 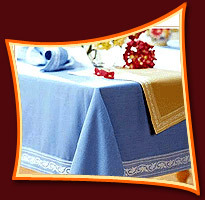 Dining Products : Table Cloth, Napkin & Napkin Ring, Table Mat & Runner, Coaster, Hand Towel, Terry Bar, Mops, Tissue Box Cover, Bread Basket Bread Bag, Chair Pad Seat, Cushion. Kitchen Linen Products : Towel / Kitchen Towel, Dish Cloth, Dish Towel, Terry Oven Mitts, Pot Holder, Apron ,Tea Cozy, Egg Cozy, Shopping Bag. 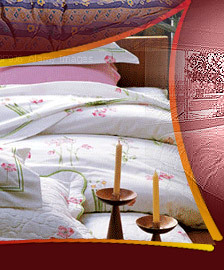 Bedding Products : Bed Spread, Multi Cover Quilt (Bed Quilt & Floor Quilt) Duvet Cover, Comforter Case Box, Sheet Cover, Pillow Cover, Cushion Cover Bath Towel, Terrys. Windows : Curtain, Noren Draperies, Tab Tops, Shower Curtain. Qualities Dealing  Cotton, Terry, Acrylic, Voile, Denim and Linengraphics in Photoshop. Embroidery In house embroidery unit with single needle .machines.  Well Planned Production Control & Inspection System with Japanese Technology.  Needle Checking for each Piece by using conveyor type machine.  Well-trained house keeping department to maintain work area clean. 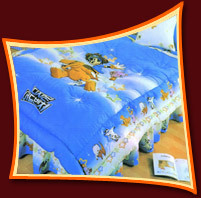  Designing new sample range periodically to cater the market needs.